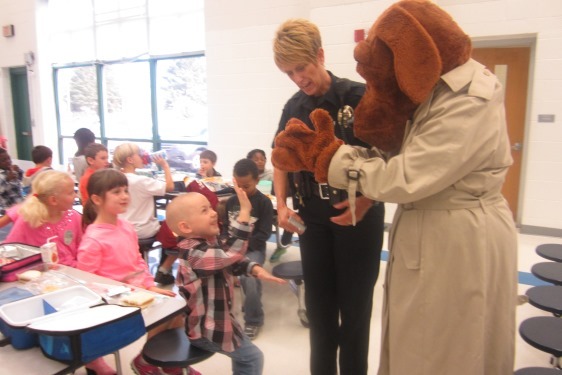 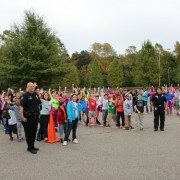 Thank you Stonehouse staff, students, parents, and and James-City County Police Department for supporting Red Ribbon Week. Jumpstart’s Read for the Record campaign mobilizes millions of people to celebrate literacy by participating in the largest shared reading experience. On October 22nd, Stonehouse participated by pairing classrooms together to share in a read aloud of Not Norman, by Kelly Bennett. Students then broke into buddy reading groups for extra reading and projects. 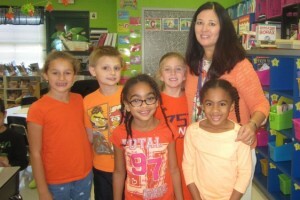 Wednesday, October 21st, was Unity Day. 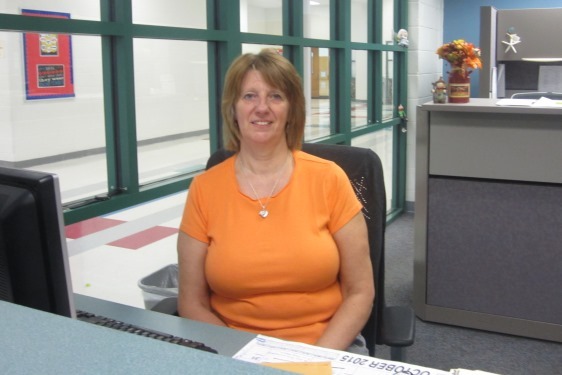 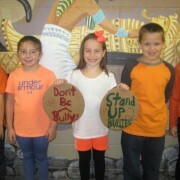 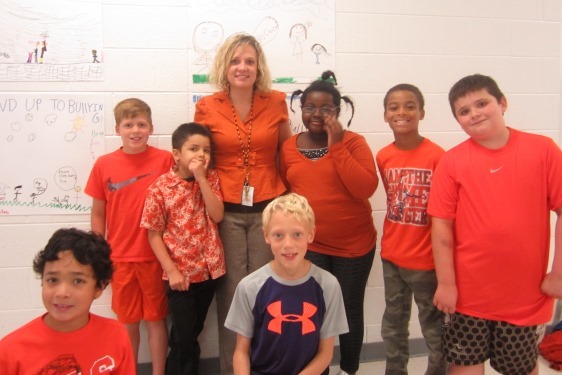 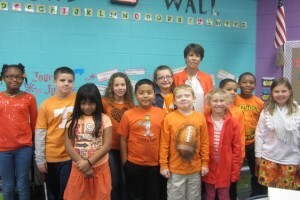 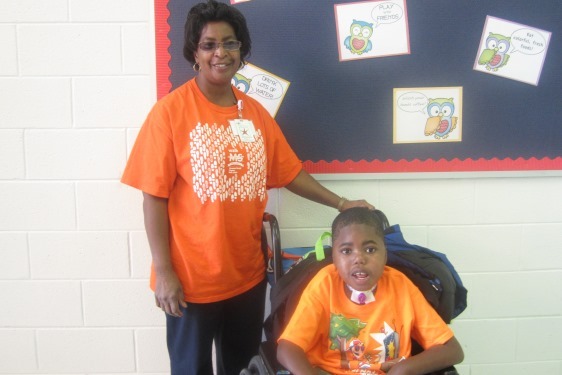 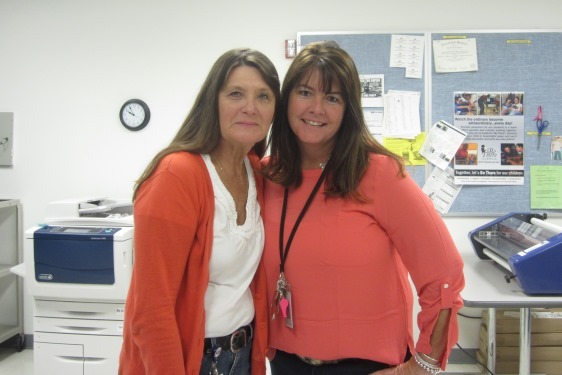 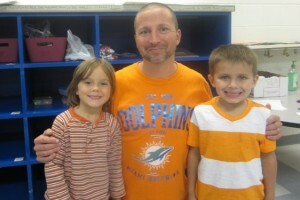 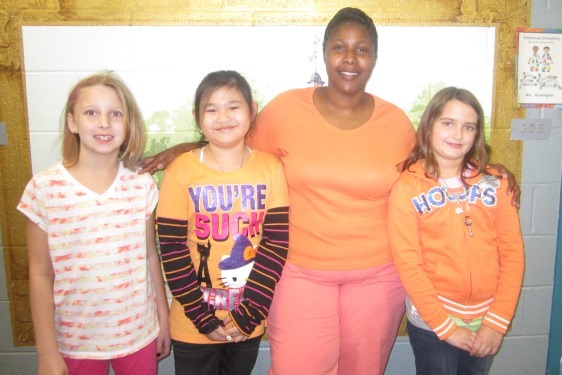 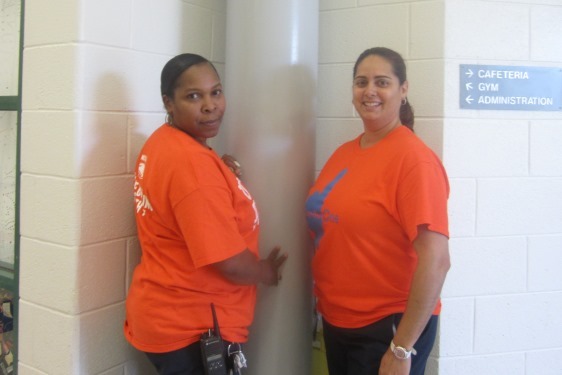 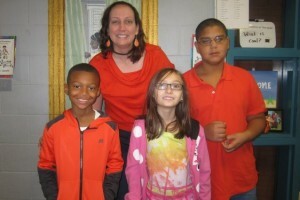 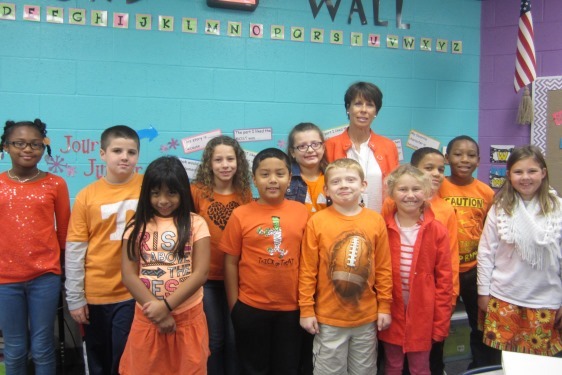 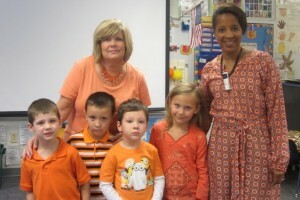 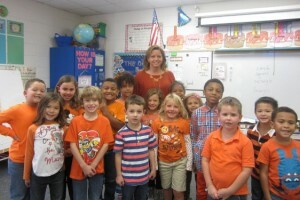 Students and staff wore orange to unite against bullying. 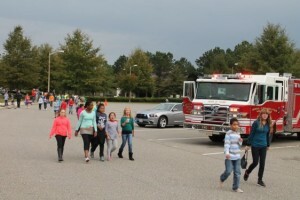 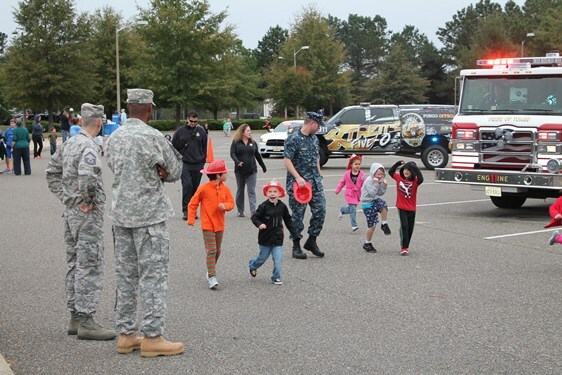 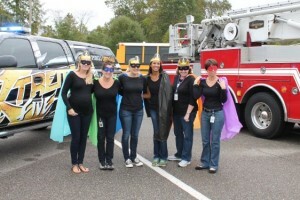 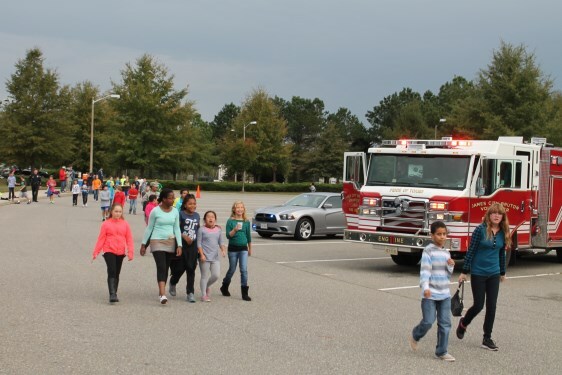 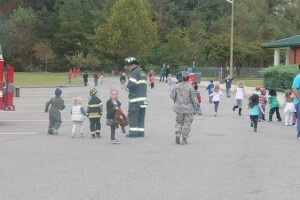 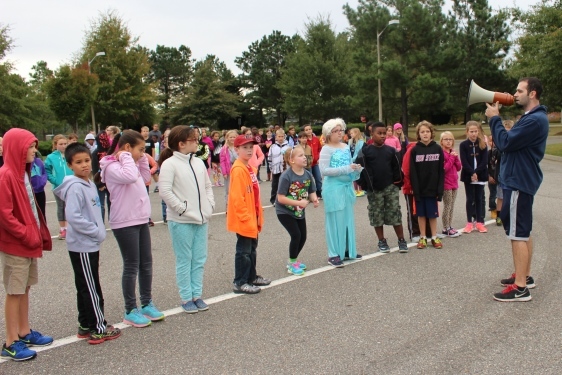 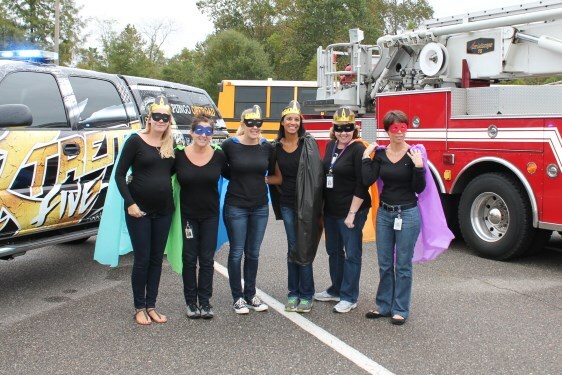 Friday, October 16th, was our first ever PTA Walk-a-thon. 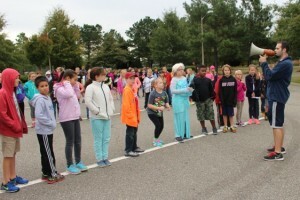 The theme for this year was “Walk For Your Hero”. 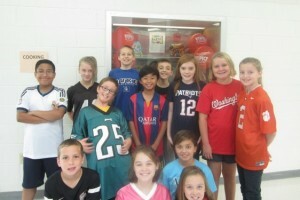 Students collected pledges and donations all week. 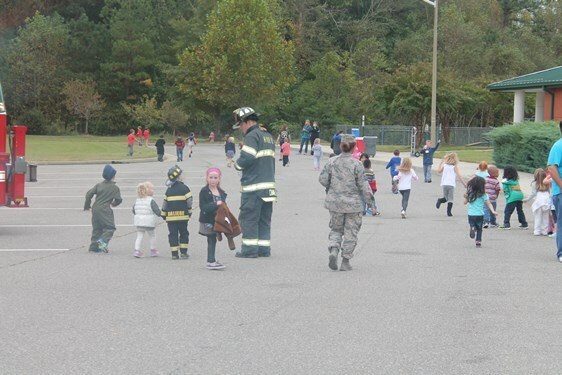 On Friday, dressed as their favorite real life hero or superhero, they took to the bus loop to walk/jog as many laps as they could. 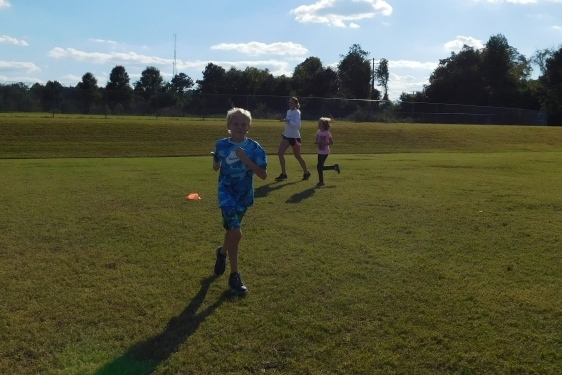 Students completed enough laps to reach 1, 2, or even 3 miles in just a 45 minute period! 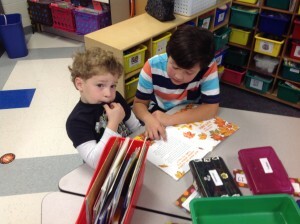 Each grade level participated during their centers time. Thanks so much to the PTA for organizing this fantastic event and fundraiser. 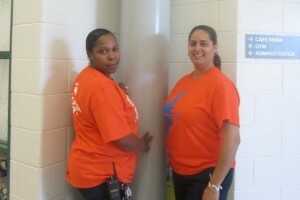 Thank you to the volunteers who made this such a success. 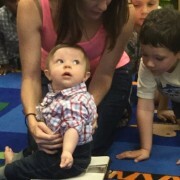 Mrs. Hundley’s Kindergarten class had a special guest this week, baby Warren. Children measured, weighed, and categorized which parent they thought he looked more like. 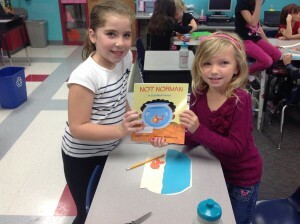 It was a fun way to teach their growth and change unit. 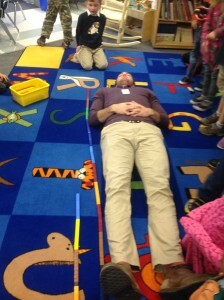 You can also see how Mr. Sheldon measures up: 110 unifix cubes versus baby Warren at 34 unifix cubes. 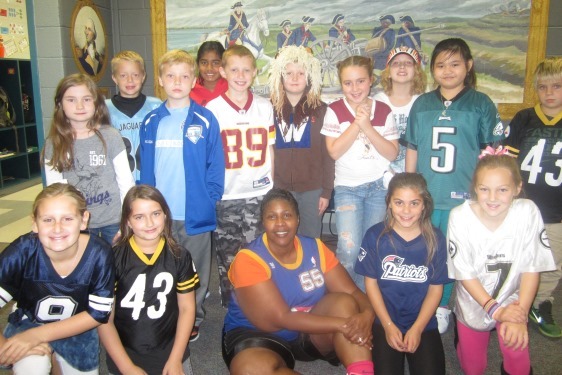 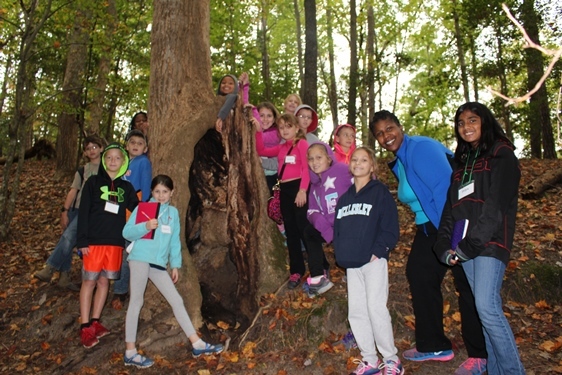 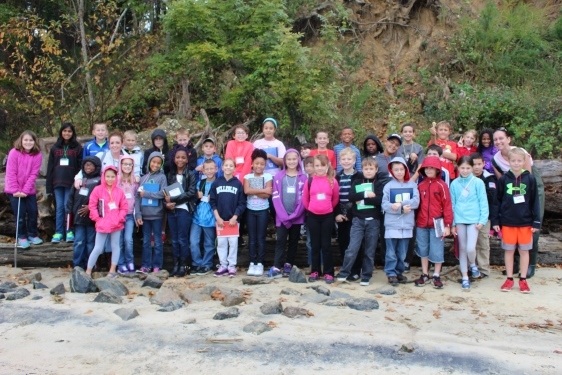 Thursday and Friday, October 22 and 23rd, our 4th graders had a fantastic field trip to York River State Park to learn about Virginia Resources. Students took soil samples to examine and classify. 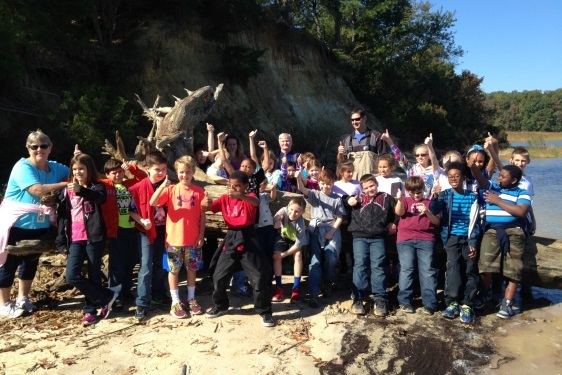 They used refractometers to measure salinity in a man-made lake versus the York River. Students seined for life in the river, and found crabs, snails, shrimp, and fish. 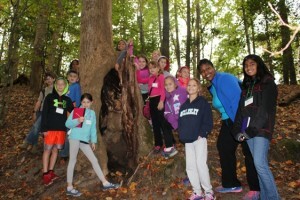 They went on a hike to identify trees and other plant resources as well as animal resources. 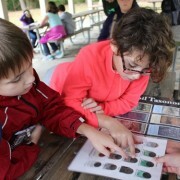 They took a tour of the museum and checked out the weather station. 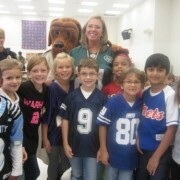 What fun filled day! 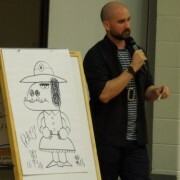 Stonehouse students were treated to a visit by author and illustrator Peter Brown on October 15th. 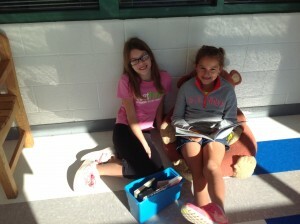 Peter’s works include The Curious Garden, Children Make Terrible Pets, and Mr. Tiger Goes Wild. 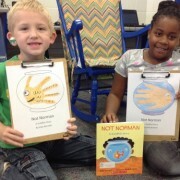 His illustrations on Creepy Carrots! 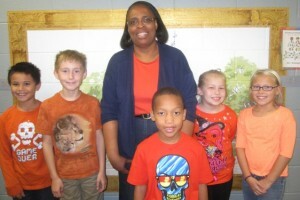 written by Aaron Reynolds, won the 2013 Caldecott Honor. Peter shared his inspirations and pathways into becoming an author/illustrator, along with the process he goes through when creating books like My Teacher is a Monster ! 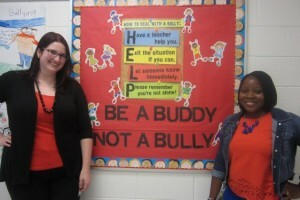 (No, I Am Not). 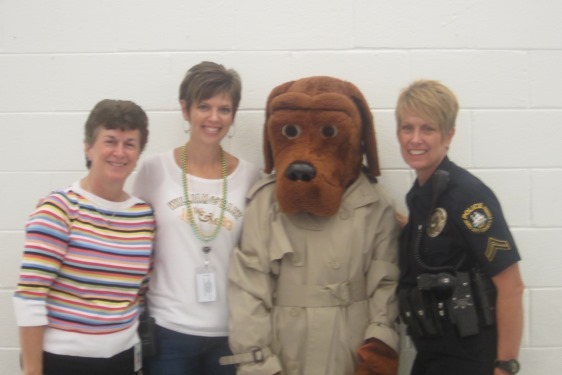 Thank you to the Williamsburg Regional Library for helping us get such an amazing author visit. Wednesday, October 14th, began our after school clubs. 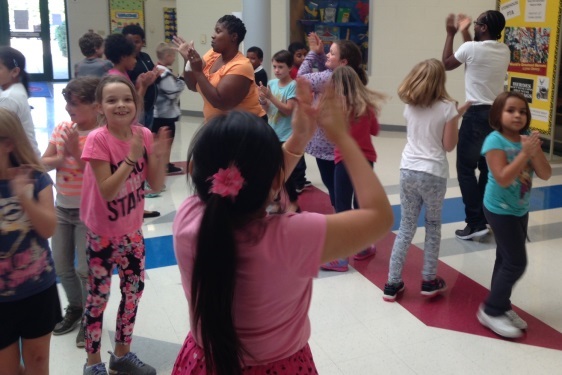 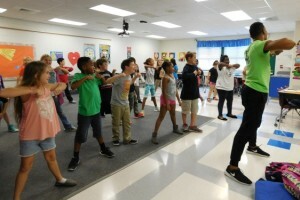 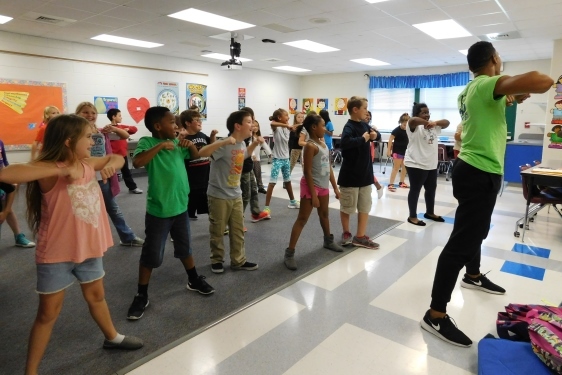 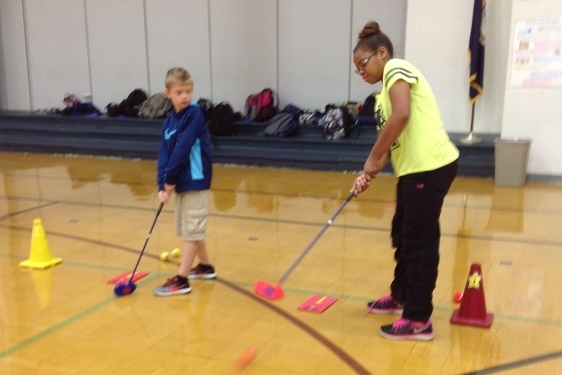 This year Students are participating in Golf, Zumba, Kickboxing, Running, Hip Hop, and Cooking clubs. 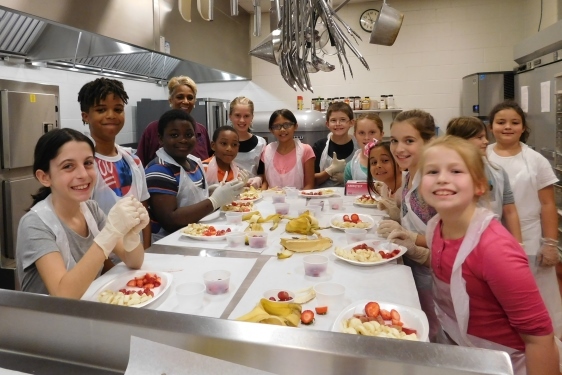 Thanks to School Health Initiative Program (SHIP) for providing our kids with these great opportunities! 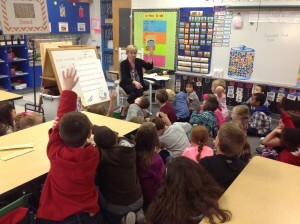 Students in Mrs. Tremblay’s class are working on identifying coins and counting coins. 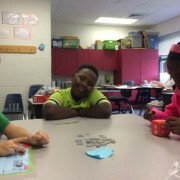 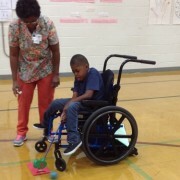 They enjoyed playing a game and working with money, while learning math concepts and life skills. 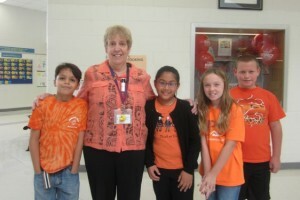 4H Extension Agent Kari Abbott visited 4th graders this week, and they created a web of life! 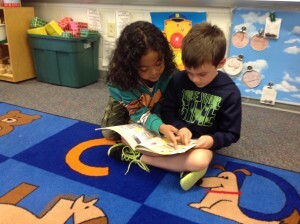 Students each had a living organism (plant or animal) and discussed how they are connected. 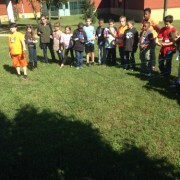 Starting with the sun, students used string to make connections tracing flows of energy from organism to organism.